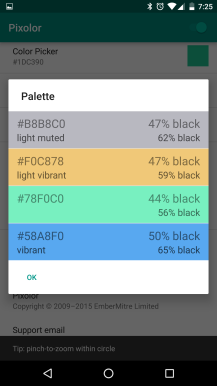 One tool that I personally have always wanted on Android but have never actually seen is a live color picker. A floating tool that could grab pixel-specific color values from your screen without the need for screenshots or any other complication. Today it looks like my wish has been granted by embermitre with the release of Pixolor to the Play Store. 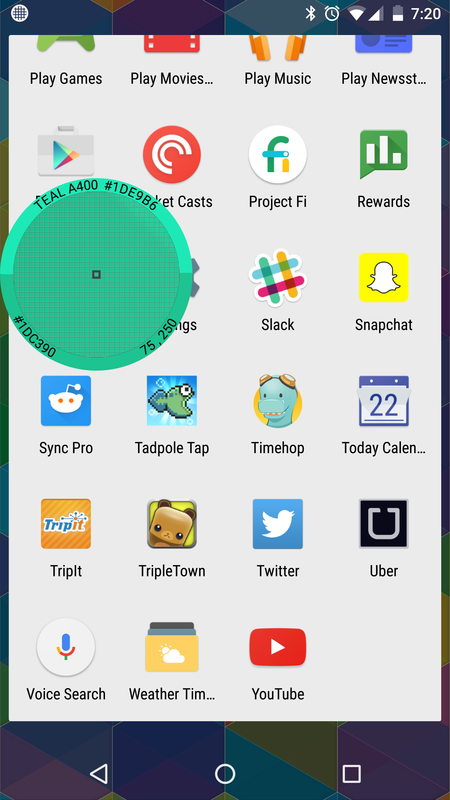 Pixolor is basically a floating eyedropper controlled by a persistent notification. You can hide or show the picker, zoom with it, and drag it around to get the hex value for the exact color you see on screen. It will also provide the nearest color from the material design palette and - inside the app - an entire palette based on that color. It's as easy as that. 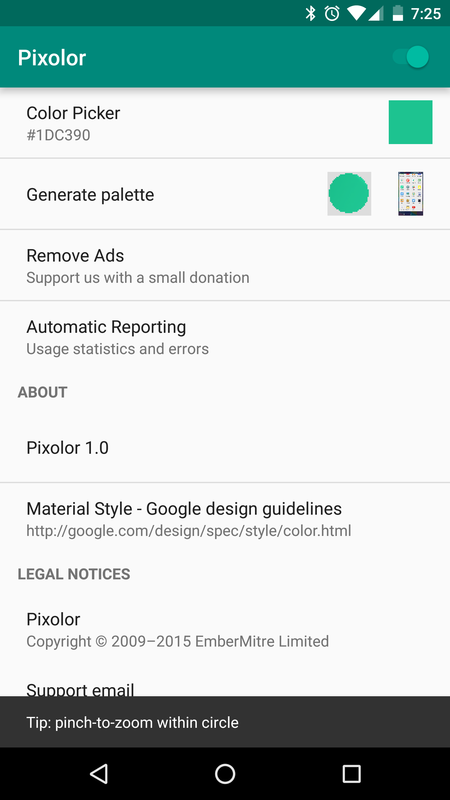 Pixolor's color picker won't update itself if the screen behind it changes, unless you interact with the picker again. This is probably a good thing though, since you might accidentally update the screen while panning around for that one specific pixel. The app is free, with the option to remove ads via $1.99 in-app purchase. Strangely though, I haven't seen any ads yet. 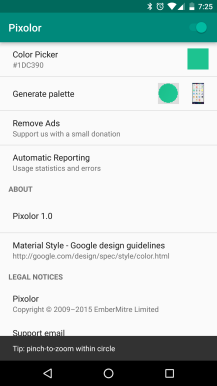 Hit the widget below to grab Pixolor and try it out yourself. Update: As commenter Mkvarner points out below, the app has an "initial ad-free" period, after which ads will appear.